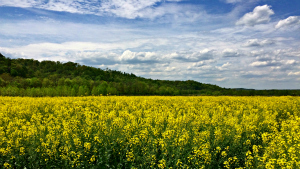 This Agronomics of Sunflower and Winter Canola module is part of the Biomass Energy Training Curriculum, 13 modules developed through a Southern SARE grant and collaboration between Tennessee State University, the University of Tennessee, eXtension.org, and USDA-Rural Development. While it is written as a training guide for TN producers, much of the information is applicable throughout the Southeastern US region. This curriculum is designed to increase the knowledge base of extension agents and local officials on biomass energy; so that they may, in turn, provide this information to their stakeholders. This module provides a comparison of biodiesel feedstocks, and information on sunflower and winter canola production, including: planting, nutrient management, and harvesting. 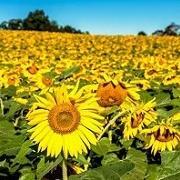 Learning objectives: Participants will be able to explain agronomic factors for successful sunflower and winter canola production. Lesson guide – provides informative notes, test questions, and an evaluation form. These training resources are freely available for educational purposes under the terms of Creative Commons Attribution-NonCommercial-NoDerivatives 4.0 International License. Please provide attribution: The Biomass Energy Training Curriculum by Jason de Koff, Tennessee State University; funded by Southern SARE. Jason P. de Koff, Ph.D. Specialists from Tennessee State University, the University of Tennessee, eXtension.org, and USDA-Rural Development developed this Biomass Energy Curriculum, with funding from Southern SARE. The Sustainable Agriculture Research and Education (SARE) ­program’s mission is to advance—to the whole of American agriculture—innovations that improve profitability, stewardship and quality of life by investing in groundbreaking research and education. 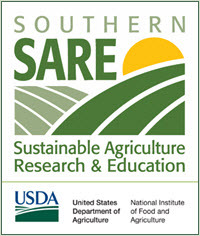 SARE is supported by the National Institute of Food and Agriculture (NIFA), USDA. www.sare.org.